Sooner or later, everyone has to deal with clogged drains. Over time, soap scum and other debris such as hair collect in your drains until blocking off the flow of water. 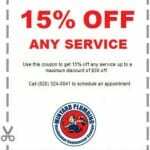 Many people find dealing with clogged drains unpleasant at best and completely disgusting at worst, which leads them to put off dealing with the problem until they have no other choice. 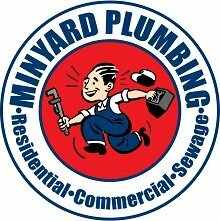 We at Minyard Plumbing, Inc. are no strangers to clogged drains, and when they happen to you, we want to help you fix the issue as quickly as possible so that you don’t have to stand in dirty water when you shower anymore. In this article, our team will go over three ways to fix clogged drains. Zipper- One simple way to fix a clogged drain is to use a plumbing zipper. This tool is a length of plastic with diagonal notches cut into it—insert the zipper into the drain, and as you pull it out the notches will catch on the hair or other obstruction, clearing the drain. If you don’t have a zipper on hand, you can also make a hook with a wire hanger and use that to loosen the clog. Boiling Water- Another method to unclog a drain is to pour boiling water down the pipe. Using a kettle or pot, boil your water (as much as it can hold), then pour it slowly down the drain in stages. Pause for several seconds to let the water work during each pour. The hot water will melt away the soap scum and leave your drain clear once more. Vinegar and Baking Soda- Take 1/3 cup of baking soda and pack as much as you can into your drain. Then, pour in 1/3 cup of vinegar. The fizzy reaction will help loosen up the hair and grime that’s clogging your drain. Let it sit at least an hour, or overnight if you can, and flush with hot water. We hope that these tips help you fix your clogged drains as painlessly as possible. If you have a particularly stubborn clog that resists your efforts, call our team to take care of it for you.